It’s widely believed that exercise before bed can actually lead to insomnia and an inability to sleep. While true in many cases, it depends greatly on what type of exercise is being discussed. There are certain exercises that can, in fact, help you sleep better and longer than you would if you didn’t do them at all. If you’re a man who has trouble sleeping because his mind is racing a million miles a minute, these exercises can be a great help in tiring you out that extra little bit to ensure you get to sleep quickly. As for what these exercises are, here they are listed in no particular order. Note this does not cover every exercise you can do to help you sleep better, just the most common or most effective. If you think another exercise may do the trick, by all means give it a try at home. These should be the easier varieties of these exercises, nothing too advanced that takes a long time to get the most out of. Stick to lighter exercises like sit ups, crunches, or leg raises to help ease any tightness in your muscles (especially around your hips) and to steady your breathing. 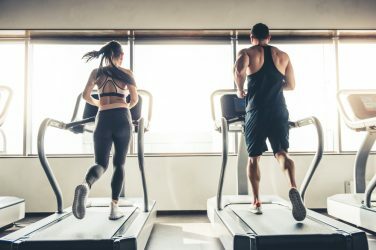 You should also make sure that your exercises end around an hour before you go to bed, so you can wash the sweat off with a good shower and give your adrenaline time to drain out, leaving you nice and tired and ready for bed. And be sure to be slow and deliberate in your exercising, don’t rush through it. You want to get the most out of these exercises, after all, and doing them too fast will leave you with a lot of energy still pent up inside you and you’ll be in no mood to sleep then. Meditation is, by its nature, relaxing. It can be a great help for keeping you relaxed before a stressful event like a job interview or big test, or if you have trouble sleeping, it can help put you out like a light. What’s better is that, if you do meditation exclusively before bedtime, your body will form a reflex around it. What this means is that, after enough times, your brain will begin associating meditation with sleep, and so recognize it as a mental trigger to relax, quiet your mind, and be more receptive to sleep. However, this depends on the meditation practice you’re performing, as many rejuvenate your mind and make it harder to sleep. This requires some practice, but when you get it right, you’ll find you sleep more soundly, and for longer periods of time than you ever did before. 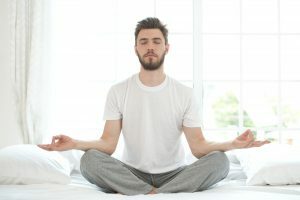 One tip certainly helps men meditate better is to do it with a significant other, as it will help eliminate any feelings of self-consciousness as well as help set up a routine you can both keep to. You should always make sure to get some good stretches in before bed. 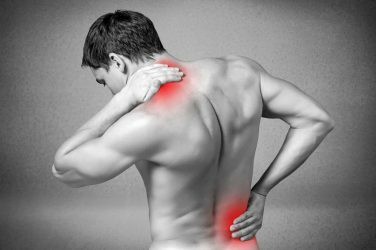 Your joints go through a lot of punishment throughout the day, and won’t take kindly to sleep without letting all that stress off. Particularly for men, the hips and back needs special attention, so perform stretches specifically catering to the joints in those areas. Your hips and back have to hold up your entire body all day, and that strain is dangerous if it isn’t properly let out nightly. The best stretch technique for this is to lie face down on the ground and arch your back, making sure to not do so to the point that it hurts, but enough to stretch your back. Repeat this until you feel all that stress has left your system. If this is not an option, butterfly stretches are a great alternative. These are some of the better exercises for pre-bedtime, because you can do it whilst lying in bed. You should make sure that you’re lying flat on your back on a flat, even surface, like the bed or even the floor. You need to make sure that your spine is straight and your trunk grounded, before you start taking slow, deep, sustained breaths that start in your diaphragm. Inhale, counting to three in your head while you do so, then after another two seconds, release slowly, for four. Be sure to remove all distractions like your phone and television. You want your mind to be completely relaxed when you do this so that your mind can become totally at ease. Finally, as you do all this, let the air fill your stomach until it sticks out, then allow the oxygen to spread from your chest cavity up into your throat, so that your lungs rise last. The only two yoga moves you generally shouldn’t do before bed are any type of inversions (yoga exercises that put your head upside down) or moves that put stress on your groin area. For men specifically, you should avoid moves that are, by nature, harder for the male anatomy, like the wheel, the crow pose, or the headstand. Try to focus on the simpler poses, or poses more tailored for the male anatomy. These include the mountain, the uttanasana, the warrior I, and the downward-facing dog, among many others. What makes these work is you’re lulling your body into a state of relaxation, and making it more conducive to sleep. This is the trickiest of the six, because it takes by far the most practice. You likely don’t realize it, but you talk to yourself a lot. Even if you know you talk to yourself, you probably aren’t aware of just how much you do so. Visualization is a means of erasing your thoughts before bed so it’s easier to sleep and you don’t keep yourself up with constant thoughts and tangents. Again, this is going to take a lot of practice, as you have to visualize yourself erasing all of your current thoughts, and then keep them erased. But if you can manage it, you’ll have longer, more restful nights than you ever did before.